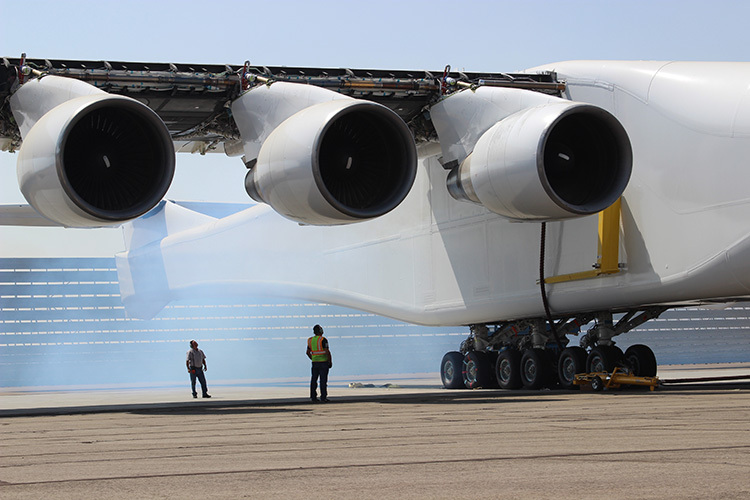 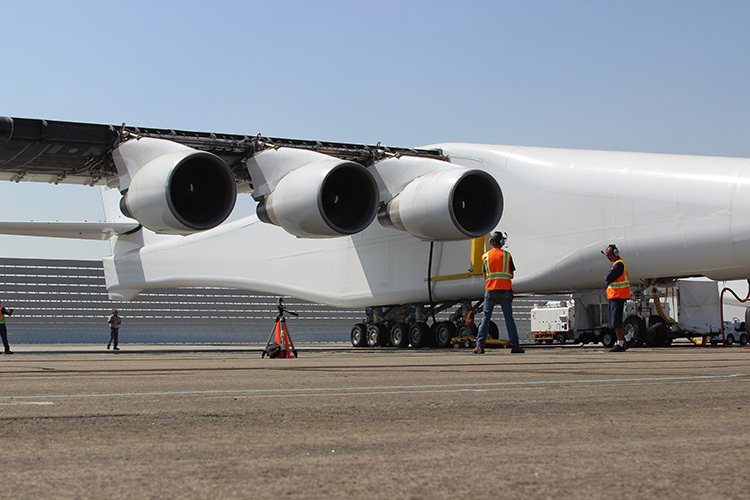 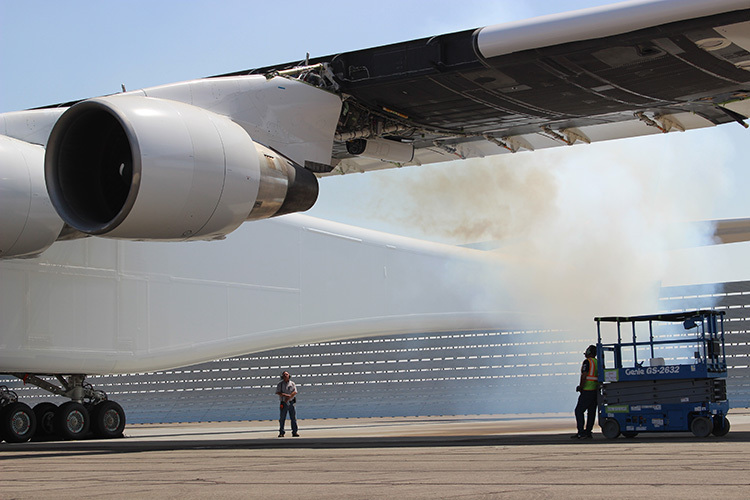 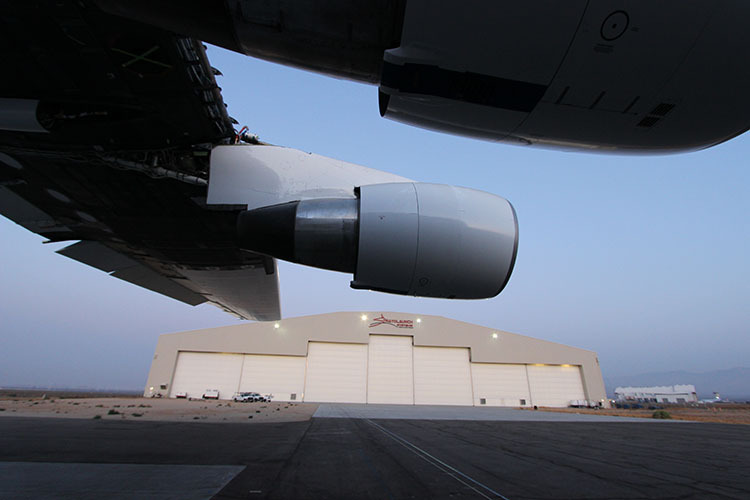 This past weekend, we successfully ran all six Pratt & Whitney 4000-94 inch engines of the Stratolaunch aircraft – one at a time, multiple times. 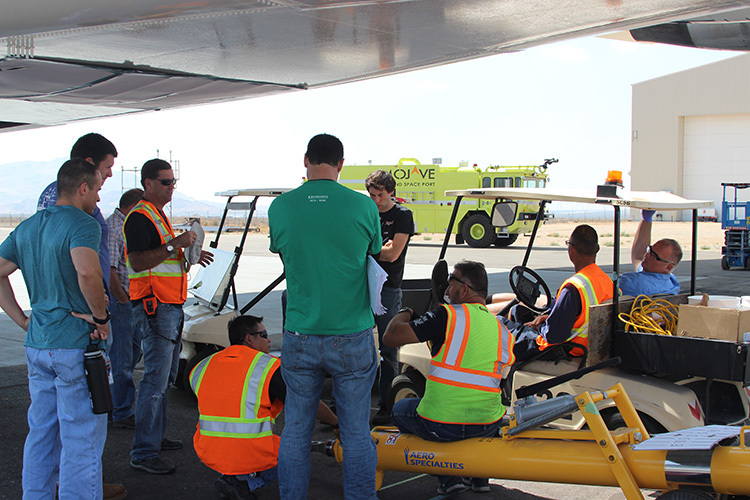 The team tested normal engine starts, along with a number of failure mode conditions to verify proper engine and airframe response. 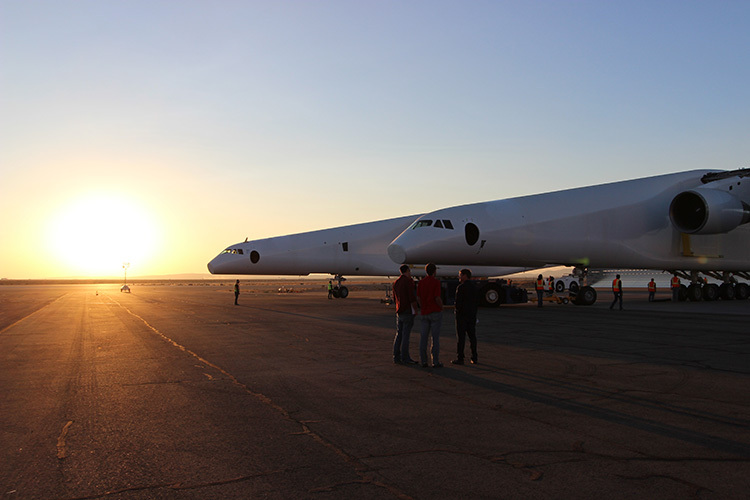 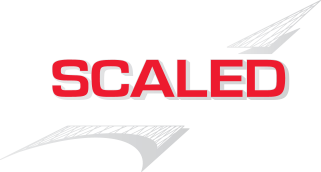 We have been working with Stratolaunch for the past five years designing, building, and testing the world’s largest aircraft. 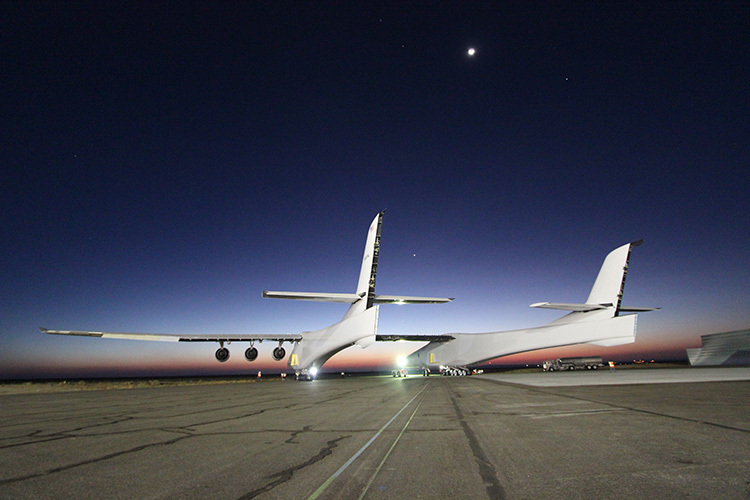 Paul Allen’s mission for Stratolaunch is developing an air launch platform to make access to space more convenient, reliable, and routine.